I added that from URL… hope that’s okay… Hey! Folks! 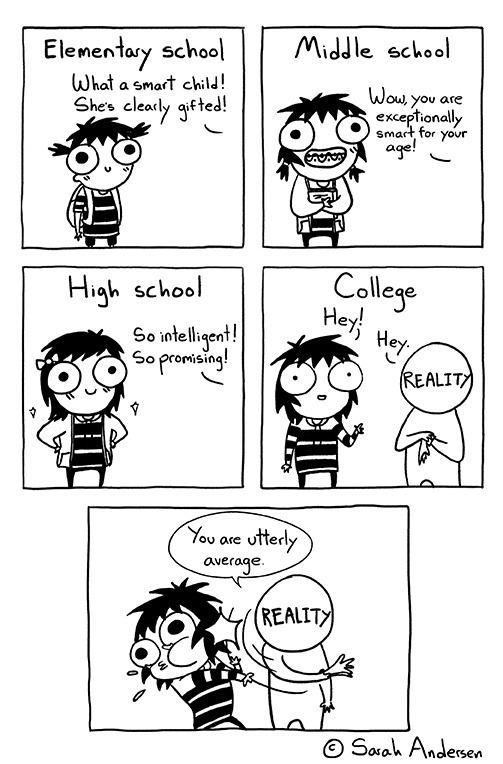 You should be reading Sarah’s Scribbles! It’s an awesome webcomic full of life’s troubles. It’s like reality smacking you upside the head. Since it’s slices of life from a young woman artist, the topic matter is – you guessed it – that of a young woman artist! Well, girl. Well, real girl. That’s from her book, Adulthood is a Myth. There’s a lot of great content about growing up, often with imaginings of current problems/relationships carried on all the way into old age (and beyond). There’s a lot of great material about being a woman. 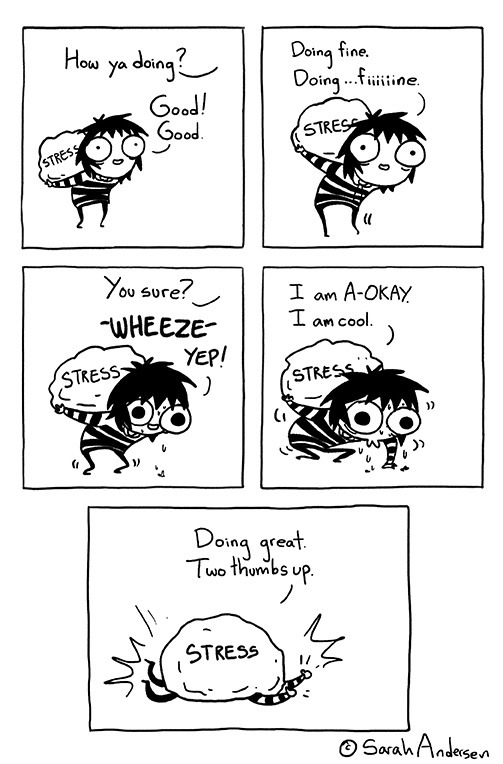 There’s a lot of great material about being an introvert and social anxiety. But I think the stuff that I like seeing the most is when she gets into talking about creating art. Wracked with self-doubt, as I find most writers in online writing communities are, she shares this feeling. While still living the dream, as it were – I mean, there’s a whole lot of people following her on Facebook (a good place to catch each new comic). I just really appreciate seeing this perspective. And the feeling that you just have to keep creating. When I was first pitching doing my webcomic here on the site, I think that what people had in mind was something more like, say, Sarah’s Scribbles. Something funny. Full of one shots. That’s not what I’m doing… and for now, as long as I’m happy with it, I’m keeping with it. 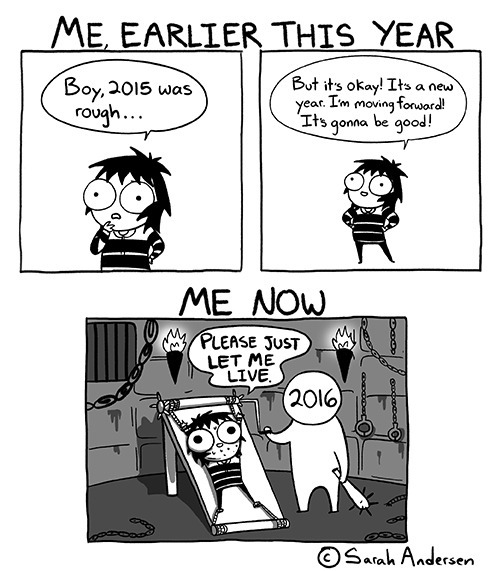 But that leaves plenty of room for me to recommend a webcomic like Sarah’s Scribbles! Enjoy!